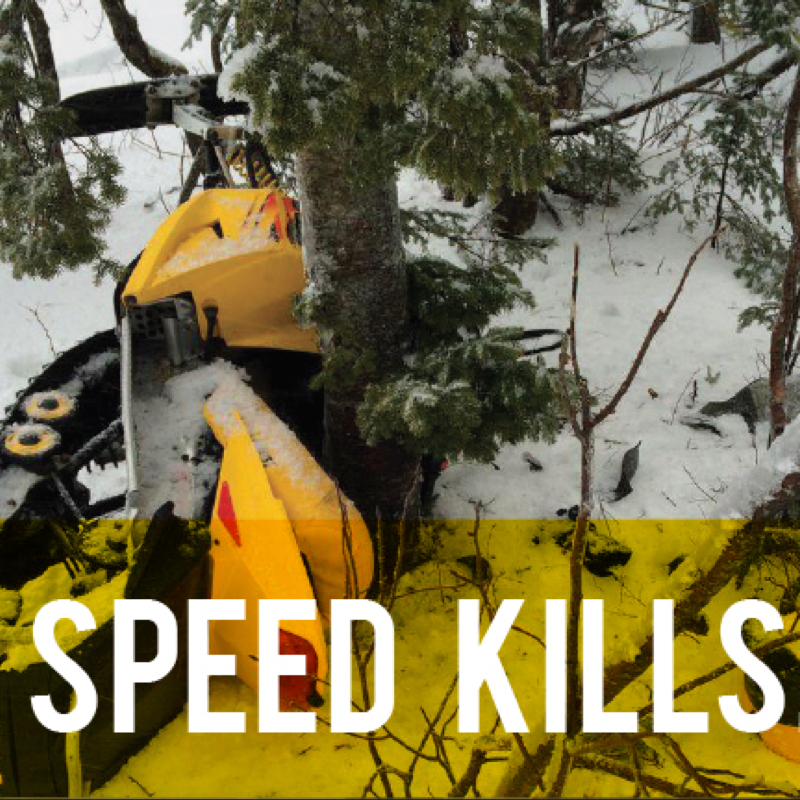 Proper safety gear and first aid skill should be part of responsible snowmobiling, especially when riding out in the backcountry. 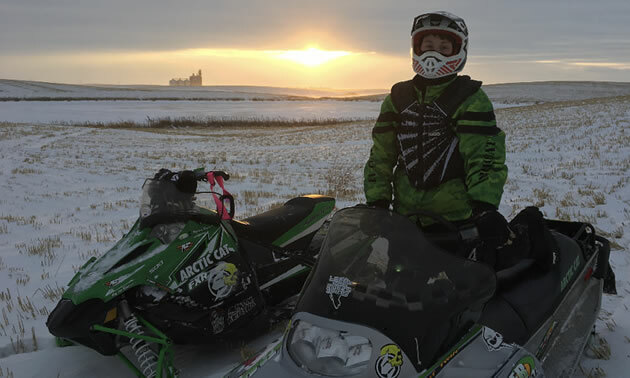 Erik Foster of the Saskatoon Snowmobile Club has seen a lot in his time at Colonsay Fire and Rescue, and it’s because of his first-hand experience dealing with snowmobiling accidents that he’s eager to get his message out about safety. 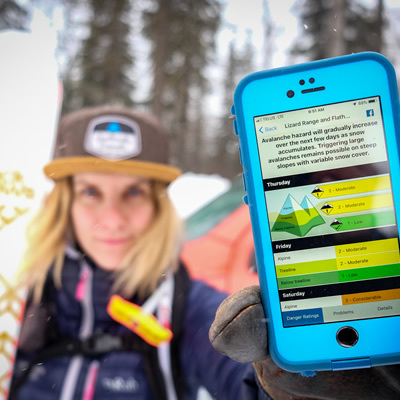 His three main concerns are protecting your chest, protecting your head and having proper first aid training when heading out on any sledding excursion. When it comes to chest protectors, they are necessary for all riders, including women and children. Choosing the right chest protector will depend on what kind of riding you’re doing, whether it’s backcountry, trail riding or racing. Foster highly recommends Tekvest by Tekrider, a company that has been around the longest and makes chest protectors for a lot of different companies including 509 and Divas. It makes chest protectors for trail, racing and backcountry riding. Fox Racing has made a chest protector specifically designed for a woman, and the company is currently the only one doing that right now. For trail riding, Foster recommends the one by Tekvest. Since you’re sledding at higher speeds, you need more protection so it is thicker with more plastic. You have to protect yourself from trees and other dangers, especially when you’re going at high speeds. There are also chest protectors designed specifically for children, and Foster highly recommends the one made by Fox. It makes one that’s adjustable so a child can wear it from age six to 15 years old. These protectors adjust on the top and have a big thick piece in front of the heart, which is very important. The Proframe by Fox is inexpensive and lasts a long time. “It’s very important that it fits well,” said Foster. “Bring your snowmobile jacket when you go to purchase one and make sure you try the jacket on over top. Most people wear the protector underneath but you could wear it over top if you prefer. Foster also warns of riding with your child in front, which is something many parents do. If you do have your child sitting in front of you, make sure they are wearing a chest protector because if something happens, he said your child is basically an airbag. 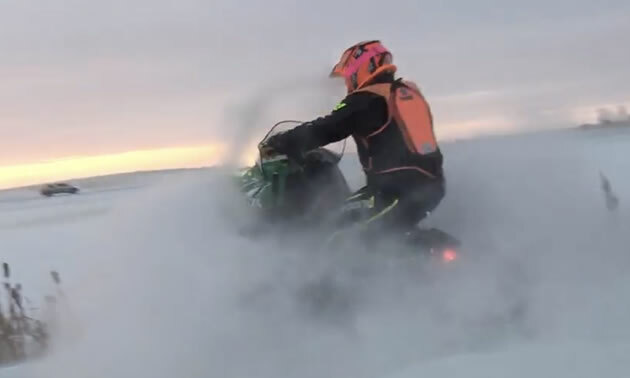 According to Foster, last year at the end of the season, a professional snowmobiler was riding down a road with his child in front when the child didn’t like where dad was steering, grabbed the handlebars to move the sled over and hit the throttle instead, and the pair went off a cliff. Luckily they were okay and the girl was wearing a chest protector. Foster has seen a few accidents of this nature where a kid has grabbed the throttle or bumped it with their elbow. This could mean you taking off on your sled and not being able to hold on. 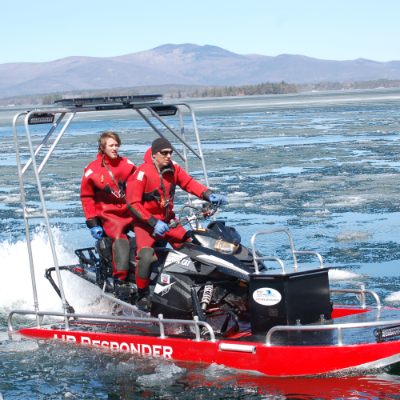 “I recommend the kid riding on the back of the sled and holding on to you, or them having their own snowmobile or get a snow coach and have them sit in the back of that,” said Foster. Another safety concern is proper helmets for kids. According to Foster, most snowmobile helmets are not designed for small heads because of their weight. Foster recommends putting your child in a hockey helmet or a snowboard helmet, which will still protect their head but won’t damage their necks. Finally, the most important way to stay safe when you’re out riding is to get first aid training.